The QT11.600 Full Mitre Connector is designed for corner application when the landing is offset from the staircase. It is also used in any form of joint where a mitre is required as it has a outstanding range of angles from 80 – 180°. 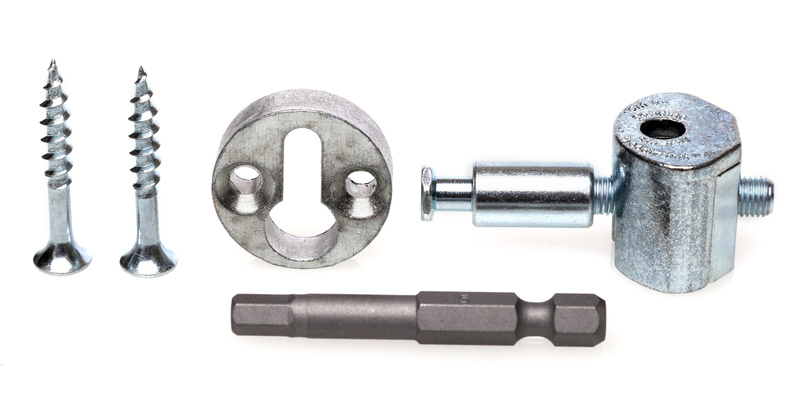 This connector is designed for joining handrail to handrail in continuous applications and for fixing flutes , goose necks and ramps to handrail. The Newel Post Fastener is design for securing the newel post to the ground by either chemical resin if the substrate is concrete or screwing it in by a spanner in to a wooded joist. We have tested the product to 1,000 hrs corrosion test and 1,500 hrs of salt spray test with satisfaction. Slipfix is excellent for situations where a rail is fitted between fixed posts or to any post fixing application, a strong, durable and invisible joint is created.